Sleek and low profile, the WeatherTech Easy-On Stone & Bug Deflector is aerodynamically designed to provide excellent protection against stone chips and bug stains. Made from aerospace-grade acrylic, it is virtually indestructible and extremely scratch resistant. 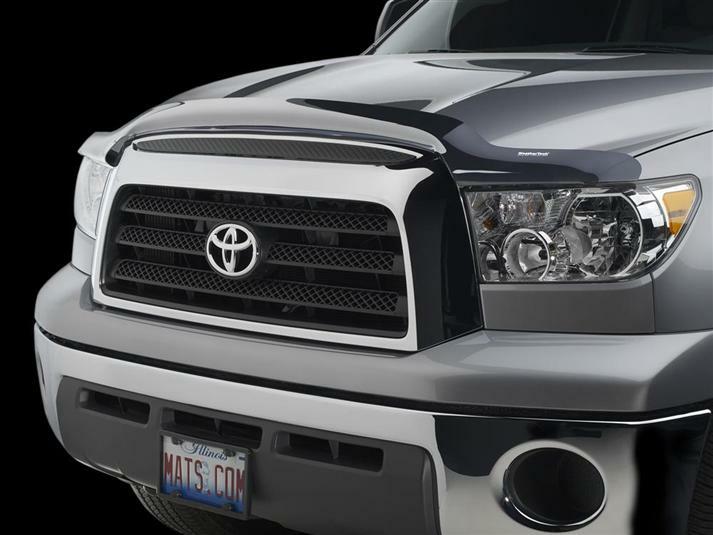 Attaches easily to most SUVs, trucks, minivans or cars using either a 3M brand automotive adhesive tape or fasteners that use existing holes in your 2013 Toyota Tundra's hood. No drilling is required. A beautiful and protective addition to any vehicle. This was a great buying experience. The bugshield was very easy to install and really exceeded my expectations as far as quality goes. Shipping was very fast (2 days I believe). Will definitely purchase other products from WeatherTech in the near future.